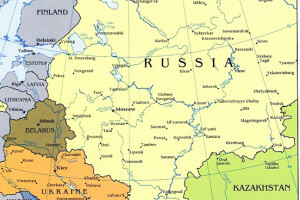 (Window on Eurasia – Paul Goble – Staunton, September 20, 2014) If the West does not stop Vladimir Putin’s campaign to subordinate Ukraine to Moscow, then the Kremlin leader will move against the Baltic countries even though that carries with it the direct threat of a military conflict with NATO, according to Andrey Piontkovsky. But if Putin and his concept of a “Russian world” is stopped in Ukraine, something that still can be achieved by economic and political means, the Russian analyst continues, then he will be overthrown by elites in Moscow (ru.delfi.lt/opinions/comments/piontkovskij-esli-putinu-pozvolyat-ovladet-ukrainoj-on-pridet-v-baltiyu.d?id=65882810). Some in the West understand the second danger and want to avoid driving Putin into a corner from which he might behave in unpredictably radical ways, he told interviewers in Vilnius this week, few understand what Putin is doing in Ukraine is part of a much broader and more threatening scenario and that he will have to be stopped at some point. The longer that point is put off, Piontkovsky suggested, the more likely that it will require precisely those military means which the Europeans and the Americans are currently so anxious to avoid but will have little choice but to employ if they are to avoid the kind of defeat that Putin hopes to inflict not just on Ukraine and the Baltics but on the West as a whole. So far, Putin’s use of force in Ukraine has worked for him. After rejecting Moscow’s demands for a voice in Ukraine’s relationship with the EU, the EU has agreed to exactly that, and after Putin invaded Ukraine, he has called for the maintenance of the territorial integrity of Ukraine except for Crimea so it will be weaker and more dependent on Moscow. The US and NATO excluded military involvement in the case of Ukraine because Ukraine is not a member of the Western alliance, but they will scarcely be able to do the same with Estonia, Latvia, and Lithuania, all of whom are members. To do so would call the alliance as a whole into question and given Putin an enormous victory. At present, Piontkovsky argues, “the only means of avoiding this nightmare scenario is to defeat the Putin project in Ukraine” by economic and political means, by sanctions and isolation. And those means are working and can work even more, especially if the West appreciates the nature of Putin’s regime. “Authoritarian regimes like Putin’s don’t leave the scene as a result of elections and democratic procedures,” he points out. They leave “as a result of palace coups.” Those around Putin are suffering from sanctions, but they will likely put up with them as long as Putin is winning. But if he begins to lose, then they will move against him. In the 1930s, people asked “Are you ready to die for Danzig?” Now they have been asking “Are you ready to die for Narva?” “The majority of Europeans and Americans will say no.” And that is why Putin is raising the stakes, threatening nuclear war, because only by doing so can he continue to gain ground. If Putin is winning, for them everything will be wonderful. But his “first foreign policy defeats” will certainly become the beginning of his end. “If the West doesn’t want to oppose Putin in Estonia at the level of nuclear war, it must stop him [in Ukraine]. There is every possibility to do this” because “even the existing sanctions are a very heavy burden” on Russia.